The College of Law from Al Falah University participated in the sixth regional conference to “Combat Crime against Intellectual Property in the Middle East and North Africa”. 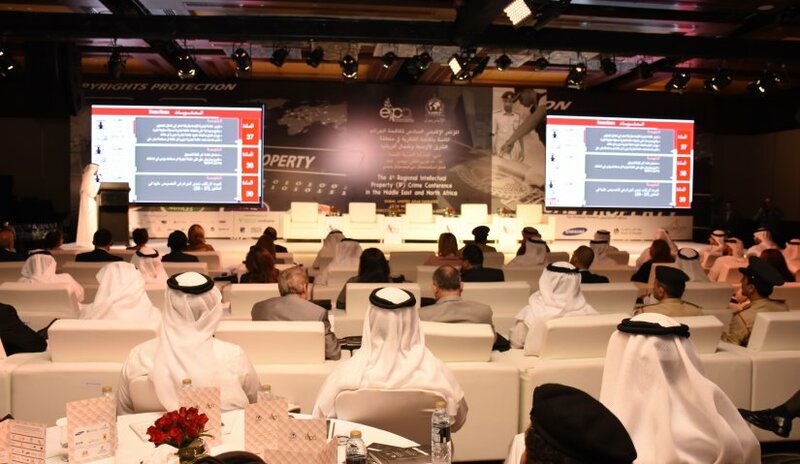 The conference is held in Intercontinental Hotel organized by the Emirates Association Intellectual Property Organization Interpol Dubai, United Arab Emirates from 15th – 16th November 2016. Dr. Mohammed Desouki, Dean of College of Law attended with all the faculty members namely; Dr. Ezzat Al Omari, Dr. Mohammad Manaseer, Dr. Muhammad Najm, Dr. Nashat Abdallah and Dr. Lamia Rusla. The presenters discussed topics related to electronic crimes, counterfeit goods, piracy over the Internet and organized trafficking in illicit goods affecting intellectual property crimes.